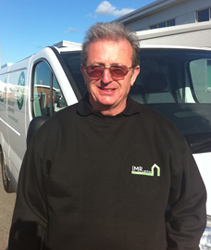 Portable appliance testing (PAT Testing) and property maintenance in Middlesbrough, Teesside and the North East. At IMR Services our principal belief is that everyone can and should receive a professional, personal and expert service for all maintenance issues, however big or small. We are an independent company who specialise in a wide variety of internal and external household maintenance and repairs. Whether a householder, landlord or letting agency we are here to assist you with issues you may have from gardening and patio cleaning to painting and decorating. We operate throughout the Teesside and North Yorkshire area but are happy to discuss quotations for work to be completed further afield. To give you that extra peace of mind, all of our maintenance operatives are enhanced CRB checked. Being an independent company with a personal touch, we are able to consider any task, however big or small and offer you a cost effective and flexible service during hours that cause least disruption to your personal or professional time. Just contact us by phone, text or email and we will endeavour to get back to you within 24 hours. Example: If you have 50 appliances at your place of work in Middlesbrough, Teesside, Then your PAT Test by IMR Services will cost £65. This is broken down by a minimum of £25 which covers the first 10 aplliances. 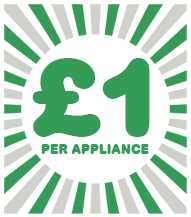 The other 40 aplliances will be PAT Tested for £1 each! 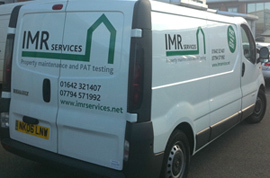 © 2013 IMR Services | PAT Testing and Property maintenance in and around Middlesbrough, Teesside, North East | www.imrservice.net.